We now have confirmed from two sources that drummer Ed Cassidy of Spirit has passed away this morning, December 6th from prostate cancer in Los Angeles. 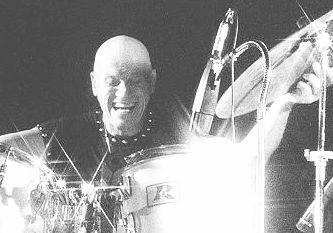 Mr. Cassidy formed the band Spirit in the late 60s with his stepson Randy California and others. Mr. California preceded him in death in 1997. Here’s a piece we did on their great album Twelve Dreams of Dr. Sardonicus. Today’s Cool Album of the Day (#132 in The Series) is Spirit, Twelve Dreams of Dr. Sardonicus. It’s a shame you don’t hear Spirit on the radio. They were an outstanding band in their time. 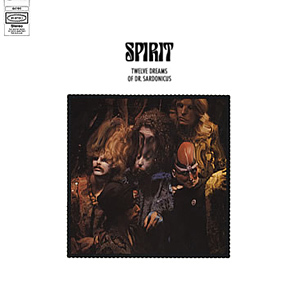 Let by the late Randy California and his stepfather Ed Cassidy, Spirit released fourteen albums between 1968 and 1996. 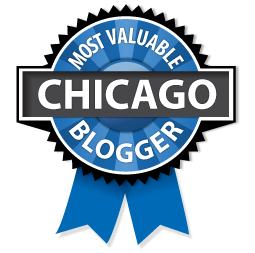 Twelve Dreams of Dr. Sardonicus was their magnum opus. It was released in 1970. Jay Ferguson handled much of the lead vocals. He would go on to join Jo Jo Gunne. They had a huge hit with “Run, Run, Run.” After going solo he had another major hit with “Thunder Island” in 1978. Twelve Dreams of Dr. Sardonicus peaked at #63 on the Billboard Top 200 Album chart in 1971. 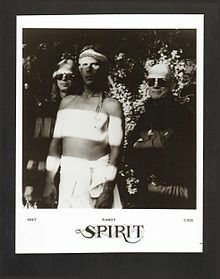 I had a chance to see Spirit at a great South Suburban club called Pointe East in, I’m guessing 1979 or so. We had a table right in front of the stage. Randy California stepped down and did a solo standing on our table. I of course, was at the bar getting a pitcher of beer at the time. Randy California left us in 1997. His son had gotten trapped in rip current while swimming in Hawaii. He was able to save his son but lost his own life. He was a true original. Listen to the album below..
One of my favorite albums from the early 70’s. Good from start to finish. Better on vinyl since many of the songs segwayed from one song to another. On CD, breaks are put between the songs. Randy California did some great writing on this one.